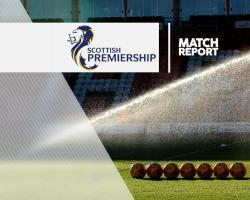 Kilmarnock were without Charlton target Josh Magennis as they suffered a 2-1 home defeat by Motherwell on the opening day of the Ladbrokes Premiership season. Killie cut their pitch dimensions but still allowed Motherwell too much room when Lionel Ainsworth netted with a glorious chip in the 40th minute and Marvin Johnson headed home 28 seconds after the restart. Lee Clark started with only three of his 11 summer signings but he is still looking for the right formula following their Betfred Cup exit, although his team made a game of it after Martin Smith's 82nd-minute header. Striker Magennis was not in the squad 24 hours after Charlton tabled a B#100,000 bid, trumping Oldham's failed B#50,000 offer, and Motherwell always looked to have more threat. He had earlier exchanged words with the fourth official after edging outside his technical area. Ainsworth burst down the right after Will Boyle miscontrolled a high ball and Scott McDonald's volley bounced wide from the winger's cross. Johnson shot just over from 20 yards but Motherwell took time to find their sharpness in the final third and Kilmarnock went close when Steven Smith's free-kick and Miles Addison's header were just too high. Jamie MacDonald had to be smart to make the first save when Craig Clay charged down Addison's clearance but he was beaten moments later. A one-two with McDonald sent Ainsworth down the right channel and he guided the ball over the Killie keeper and just under the crossbar from 18 yards. MacDonald soon blocked Johnson's shot with his legs but could do nothing to deny the same player after the break. Kilmarnock left-back Greg Taylor made a mess of a throw-in and, after a one-two with McDonald, Chris Cadden crossed for Johnson to head into the top corner. Kris Boyd soon came on for Callum McFadzean and almost pulled one back immediately, Craig Samson scrambling to push away his volley. Both sides lost players to head wounds after Carl McHugh was booked for a reckless aerial challenge on Dean Hawkshaw and several more stoppages affected the flow of the game. Samson just about dealt with some aerial balls and both Ainsworth and Johnson created good chances for each other but failed to finish. That allowed Killie back in the game after substitute Smith converted Taylor's inswinging cross from eight yards. Their best shout for an equaliser came when Souleymane Coulibaly threatened to get in behind Ben Heneghan but the striker was harshly penalised by referee Craig Thomson as the pair tangled just inside the box.